William Keyes was appointed by the UNC Board of Governors to serve on the UNC-Chapel Hill Board of Trustees in 2015. 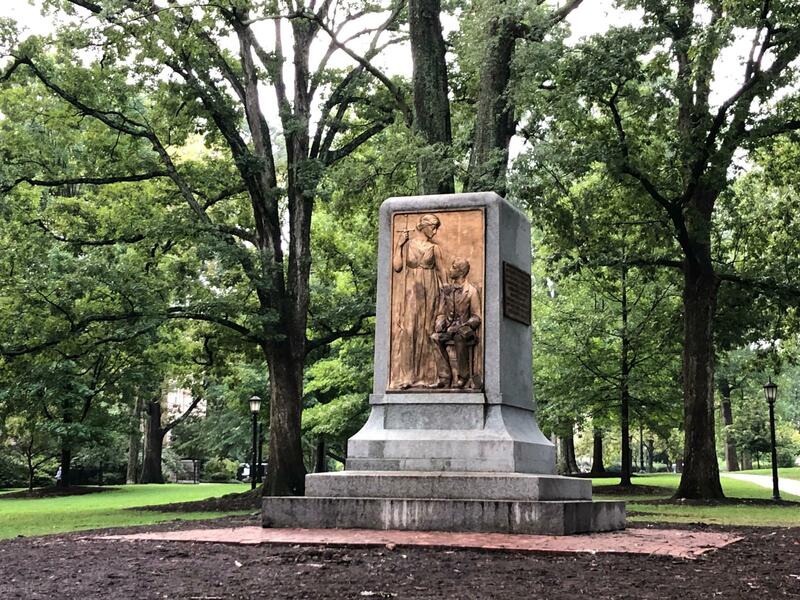 Dave DeWitt reports on a current member of the UNC-Chapel Hill Board of Trustees, who bring a unique perspective to his deliberations on Silent Sam. During apartheid, William Keyes worked as a paid political operative for the government of South Africa. Speaking this week with WUNC, Keyes had a simple explanation. Keyes also said those media reports that labeled him as a “lobbyist” did not accurately characterize the work he did. Keyes said he was more of a consultant than a lobbyist, and that the majority of his work for the apartheid government of South Africa was done in the background, out of the public eye. “Basically the role I had was to try to negotiate some kind of conversation between folks who were in the white minority and the black majority in that country,” he explained. That is quite different from the duties Ron Nixon says Keyes carried out. Nixon is the author of Selling Apartheid: South Africa's Global Propaganda War and a reporter at the New York Times. He said Keyes and a small group of other black conservatives tried to build support for South Africa’s white government in the African-American community, and one way they did so was to make media appearances and attack Nelson Mandela’s political party. Keyes’s annual reports made to the Department of Justice under the Foreign Agents Registration Act indicate that his work was broad, and included activities normally associated with lobbyists. In 1985, for example, his contract stated that he would facilitate joint ventures between black-owned businesses in the two countries, and work to improve the standard of living for South Africa's black population. But it also included specific language about monitoring legislative activities on Capitol Hill, and alerting the government of South Africa to matters which may be important to them. Later filings show that Keyes worked with the conservative American Legislative Exchange Council to write state-specific legislation favorable to the South African government, and fight an ordinance in Los Angeles that would have prohibited businesses who do business in South Africa from doing business with that city. The apartheid government paid Keyes about $400,000 a year for his services. Nixon said Keyes was largely ineffective in his primary role, to grow support for the apartheid government within the African-American community. “This was not something that was going to go over well with the majority of black Americans,” he said. Keyes said his contract ended before Nelson Mandela was released from prison in 1990. He said his behind-the-scenes work led directly to the largely non-violent transition out of apartheid. File photo of the pedestal of the Silent Sam statue without the Confederate monument on Tuesday, August 21, 2018. Fast forward 30 years, and Keyes says his work during the time of apartheid informs the decision he and his fellow UNC-Chapel Hill Trustees will make on Silent Sam. “Part of what enabled a peaceful changeover in control of government in South Africa from a white minority to a black majority was not only the demonstrations that you saw but also a lot of negotiation, a lot of conversation, a lot of deliberation behind the scenes, and I think that might compare a little bit to what our charge is regarding Silent Sam,” he said. As the lone African American on the UNC-Chapel Hill Board of Trustees, Keyes said he has relayed views to fellow Board members they might not be fully considering. “It’s not really fair to the system that there’s only one African American on the board because there’s a diversity of views about every topic within the African-American community,” he said. An Elon University poll taken last year showed about 60 percent of black people want Confederate statues removed from state government property - by far the highest rate among any one demographic group. Keyes isn’t the only one to express frustration with the makeup of the Board of Trustees. None of the Trustees – including Keyes – have publicly stated their preference for what to do with Silent Sam. The Board and Chancellor Carol Folt will meet and vote on Monday.